Can Money Surely Buy Love ? It’s 2015 we don’t understand half the things that this world has to offer and we don’t want to understand the other half either. The world as we know it has been and is still changing from time to time and so is every aspect of life. Consistency is not a common phenomenon to humanity anymore and the way things seem to be going it doesn’t seem like this world is going to take a break and think about what is really happening and reflect on it. Hence to hear such a statement that ‘Money can surely buy love’ isn’t absurd anymore. There is no clear definition of love anymore among-st people and people confuse possession and obsession with love. It’s the basic understanding of love that defines this statement, love can have a different definition and understanding for a person and different one for another. The changing rules, morals, values and ethics of society have degraded and upgraded the world in their own particular ways and also vastly changed the meaning of the most powerful human emotion that is love. If love is having a great time with your friends at the a very expensive restaurant then money can buy it. If love is the possession of a luxurious car then money can buy it. Although the feeling that one derives by sharing a meal with a friend or the feeling of driving a car that brings great memories to your mind and puts a smile on your face is something money can’t buy. There are different meanings and definitions to love and even when money can buy you possessions, respect in some people’s eyes and maybe a lot more things it can’t buy you the feeling of love and happiness that you derive because of who you are and what you might have been to someone special. Money is something that has made its mark on humanity so strong today that it can control and shape a person’s life and his actions so much so that it can make someone do the things he might not want to. 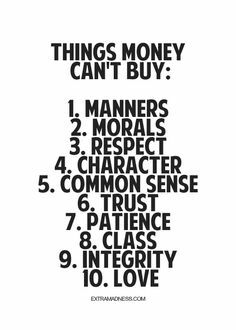 So saying that money is something that can’t buy us something we want is pretty debatable. Love is something that is said to transcend time and space and if something so powerful and unique can be bought with money there is definitely something very much wrong with a lot of things in this world. At the end we just have it to ourselves and our conscience to decide whether money can really buy love. It is on us to choose to what to believe here and to what extent are we going to let money control us. Next Story → Being A Nerd Does Not Make You Less Sensual.